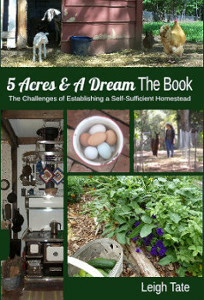 Love all those books and you gave a great review but right now is not a good time for me since I am trying to get the house ready to put on the market come Spring. Now I know where to come though as that info is hard to come by! Thanks for the info on this year's bundle. 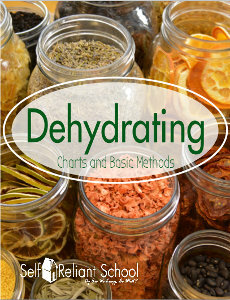 Dehydrating, canning and fermenting should all be basic skills for a homesteader. I hear you! 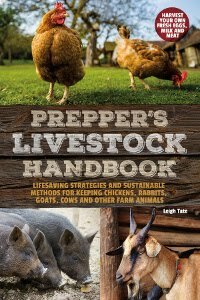 I plan to link the books I've reviewed to Amazon after the Bundle sale is over. That way you'll still know where to find these great resources. Wow! I hope to have a bounty this year. Perhaps I will need a recipe for chipmunks to go with the dehydrating. If I don't take care of them, I will have nothing to dehydrate! Competition with the critters is ongoing! Our cats pretty much take care of our chipmunks (and mice, shrews, squirrels, and rabbits), but something still gets to my strawberries. You deserve an abundant harvest and I hope you get one this year. Thanks for sharing what's in the bundle. 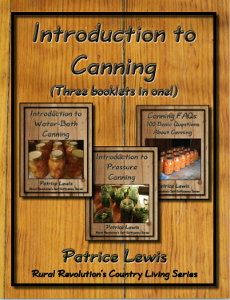 Plenty of info there to get started on anything to do with food preservation. We've lost these skills over the years and need to practice them more. 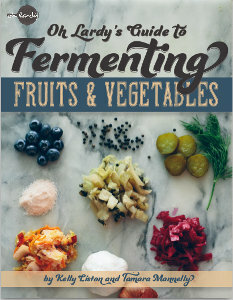 A great bundle of resources to have!!! That's pretty much why I'm willing to participate. This year's bundle had some particularly interesting DIY skills that I'm especially glad to have. It seems we pick up a little here and a little there, all of it welcome.